For DTE Energy, drug stores have become a fertile ground for customers who traditionally stood in long lines at their payment centers. In the downtown Detroit headquarters of DTE Energy, in a third-floor office nicknamed the “command room,” nearly two dozen closed-circuit television monitors are giving executives a real-time look at thousands of dollars flowing 24 hours a day into the utility’s coffers. 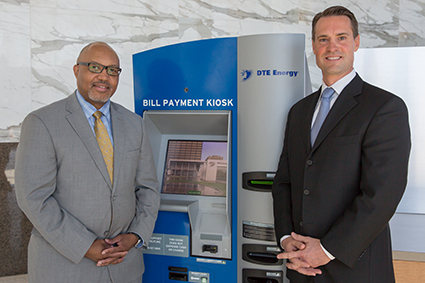 The money — in cash, checks, credit cards, or even gift cards — is being deposited in bright blue-and-silver DTE kiosks by customers who are paying their energy bills in 20 Rite Aid pharmacy stores in metro Detroit, Muskegon, and Grand Rapids. The program began without fanfare a year ago to assist customers who would rather not pay bills through the mail or online via a smartphone, tablet, or computer. As each customer taps the screen of the kiosk to make a payment, the transaction is beamed back to DTE monitors. Officials can watch every transaction from each drug store and obtain a running tally of payments. Customers can pay bills at midnight or on holidays, whenever their neighborhood drug store is open. Jason Bierkle, president and CEO of DivDat, a Ferndale-based data processing and management firm that created the software in the kiosks, says the high-tech booths are programmed to read DTE bills and accept deposits. The machines spit out receipts that show the payments posted immediately in DTE’s accounts. Currently, DTE is the only beneficiary of the kiosks, but the machines could be programed to handle multiple payments for various entities, he says. Unbanked households have no checking or saving accounts. Underbanked households have a bank account but prefer to pay bills in cash, with money orders, or through other alternative financial services. In the Motor City, 20 percent of households are unbanked, while 29.3 percent are underbanked, according to Bank On. Nationally, 9 million households are unbanked (10 percent) and 21 million (17.9 percent) are underbanked. The study also indicated that income in 50 percent of Detroit households was below $30,000, while 13 percent of households had incomes above $75,000. Bierkle says his company’s research shows that many millennials — 18- to 25-year-olds — can be added to the group of people outside the mainstream banking and bill-paying customers because they prefer to pay their bills with cash. In a finding that reflects Detroit’s predominantly low- to median-income population, the company’s research showed 40 percent of Detroiters don’t own a vehicle. The process is very simple. Customers use a touch screen and follow the prompts. They can check the status of their account, scan their bill, insert cash if they prefer, and receive a printed receipt that shows their payment posted instantly. Bierkle says the performance of the kiosks since the first one was installed at a Rite Aid store at M-59 and Telegraph Road in Pontiac just over a year ago has been notable, to say the least. Initially, the machine had a monthly average of 100 transactions and $18,000 taken in. Today, the same machine registers 450 average payment transactions per month, totaling $83,000. Last year, the 20 drug store kiosks — and five others in DTE payment centers in the city — recorded 50,031 transactions and took in $8 million. So far this year, the machines are on pace to obliterate last year’s totals as more DTE customers are taking advantage of the kiosks. Through the third week in May, the machines had already passed 50,000 transactions with $10 million deposited in the kiosks. Bierkle credits DTE for taking the time to research and better understand the percentage of their customer base that was often waiting in long lines to pay their bills. In developing the kiosks, Johnson says the primary concern of DTE was that the machines had to be locally produced. As a result, Burroughs Inc. — using Michigan-produced materials — assembles the kiosks in Plymouth Township. 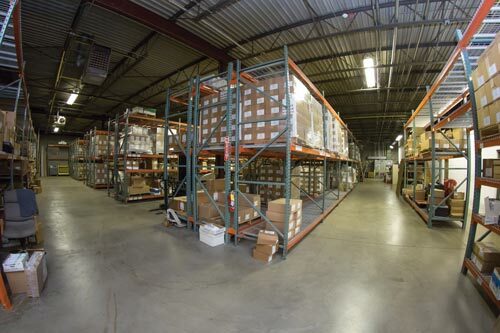 Total Armor, another Michigan-based company, handles the safes in the kiosks and picks up and delivers the monetary contents to the utility company. Johnson says DTE has not yet been able to quantify whether or not people are paying their bills on time because of the kiosks, but the trend is encouraging. Johnson and Bierkle say the early success of the kiosks has drawn national as well as local attention from other utilities and businesses with cash-paying customers. Bierkle says DivDat is in talks with the Wayne County Treasurer’s Office as well as the 36th District Court in Detroit, where long lines is the norm, not the exception.